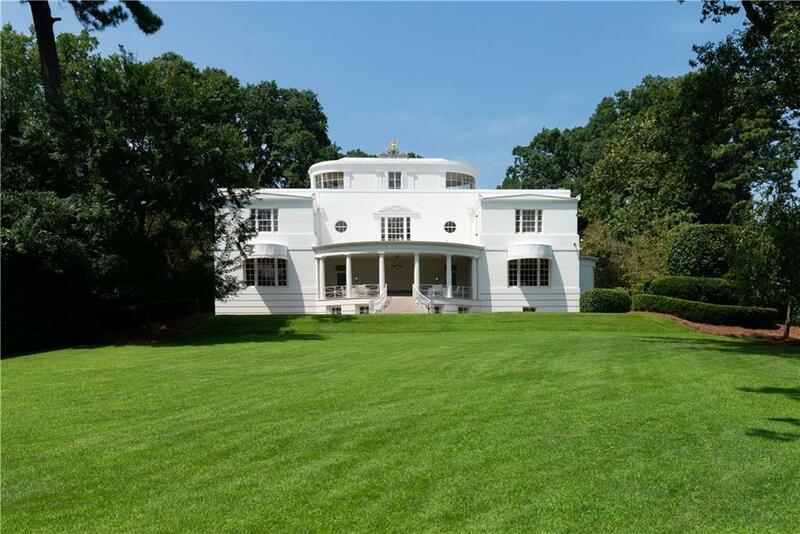 1937 Philip Trammell Shutze designed Art Deco masterpiece. Heaven on a hill. 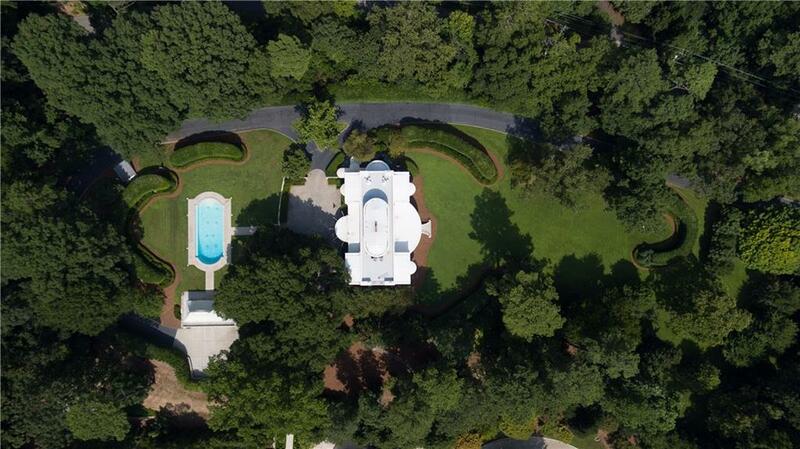 Supreme privacy abounds on 4.5 +/- acres of manicured landscaping, one of the highest points in Buckhead. 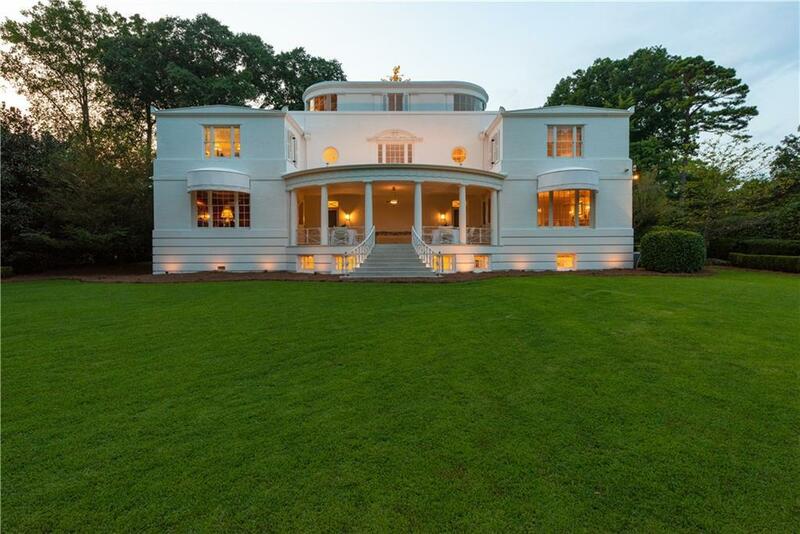 Meticulously restored to perfection by craftsman worldwide, this estate is the exact home it was in 1937, sans the newly redesigned kitchen. Enjoy the easy, natural flow for entertaining on the main level. 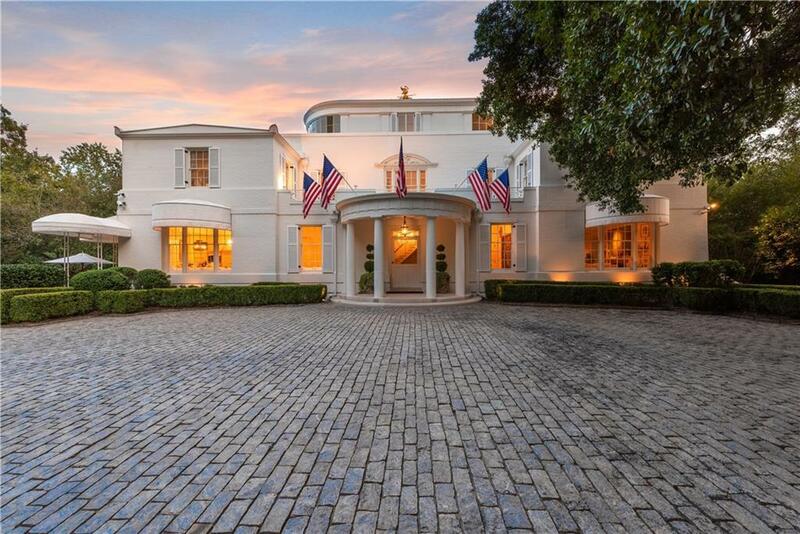 4 bedrooms and 5 bathrooms are on the second level; the 3rd level includes a bar from the SS Normandie ocean liner. The tranquil pool/pool pavilion are as Shutze envisioned 80 years ago.